Specialised studies today (PE nr. 1089 – 2018/03) | M.Afr. What is called ‘Specialised studies’ in the vocabulary of the Society of the Missionaries of Africa is nothing but some supplementary studies needed to answer better the needs and goals of our Mission in Africa of today. From the very beginning, our Founder felt this need and the nature of what is needed varies from one period to another and from one place to the other. Let me leave the historical aspect of the topic to the historians of the Society. My task in this article is to present the present policy and practice of ‘specialised studies’ in the Society of the Missionaries of Africa. The policy on supplementary studies is clearly stated in our Constitutions and Laws (CL) as follows: “The General Council ensures further or Specialized Formation to some missionaries in view of the need of the Society or of the local Churches, taking the Society’s apostolic project into account.” (CL 148, 1). The last three General Chapters came back on the topic every time to show that it is relevant in an evolving Africa. The Capitular Acts (CA) (2016, p.40) say it well: “an intellectual formation of quality is needed for Mission in a complex world”. Hence, even if we were primarily founded for Africa, we are increasingly forming part of a complex world which goes beyond the boundaries of Africa. Traditionally, people were given supplementary studies in view of Formation work such as teaching in Major Seminaries for the local Churches or in our own Centres or Houses of Formation, offering some outstanding pastoral needs such as dialogue with Islam and other Religions, Justice, Peace and care for the environment, etc. The CA (2010, p.66) put emphasis on the “training of confreres in financial management and property sales”. Again, the CA (2016, p.41) invite us to “open up specialised studies to other areas other than Formation alone”. The same source concluded, “without forgetting why we were founded” (CA, p.41), reminding us to remain in focus. It has happened in the past that some confreres were sent for supplementary studies in response to an immediate need. Nowadays, there is a long-term plan to create a pool of qualified men in areas known to be important for the Society’s mission. 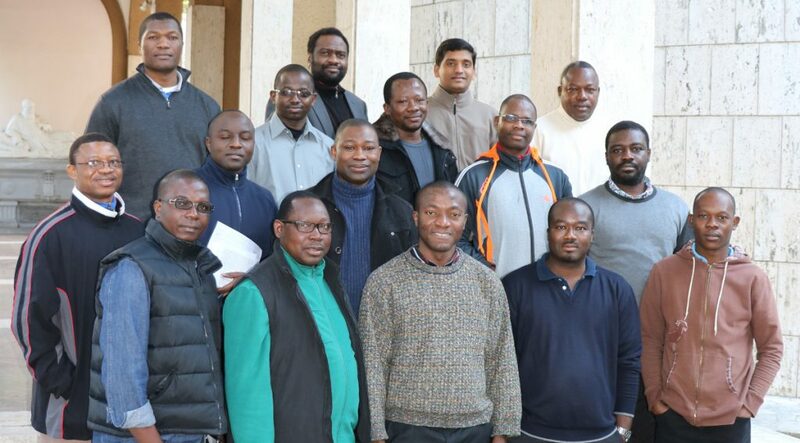 In the Plenary Council of Ouagadougou (2013, p. 21), the councillors insisted that it is the Society of Missionaries of Africa which appoints some confreres according to its needs and the needs of the Mission. It is done in dialogue between the confrere and his superiors. Here I would like to draw a distinction between sabbaticals and supplementary studies. While a “sabbatical aims mainly at personal growth, rest and renewal” supplementary studies “aim at a specific service and are given to some Missionaries according to the needs of the Society”. There is obviously a need for discernment by the General Council in collaboration with Provincial Councils in choosing confreres. However, a pre-selection of such confreres starts already during the Initial Formation period when the staff make and send their appreciation to the Secretary for Initial Formation concerning the ability for further studies of each candidate who is approaching the end of his Initial Formation (Vade Mecum, Chapter 15, 17-19). Pastoral work remains our main aim and activity. Some confreres manifest their desire to study and do not hesitate to make their intentions known. Others are simply called because they have the capability and willingness to offer that service to the Society. There are also those who show no interest and who are not willing to make any effort to improve the quality of their missionary service. What are, therefore, some of the criteria for choosing people for supplementary studies? The CL (2018, no.148.2, p.90) state that “a missionary is not appointed to specialised formation until he has had the experience of a few years’ apostolate in Africa”. The CA (2016, p.41) interpret the above article from the CL as having “to finish a term of at least three years of pastoral work”. Sometimes, this can go beyond three years depending on the discernment process of those concerned. Another point which is written nowhere but plays a vital role in the choice of a confrere for studies is the “positive experience” criterium. We all understand what it means, but it can bring suspicion and doubts in some cases. Other factors of keeping the balance of interculturality and internationality may limit somehow the number of people that can be called from a country or a geographical area. Age can be a determining factor in some cases. As for instance, one who is beyond 35 years of age cannot be admitted into Psychology courses in some universities. Our participation in consortia of higher institutions and universities means calling some confreres to pursue a Ph.D degree in view of rendering such services as teaching in these consortia where having a Ph.D is a requirement. A Ph.D may also be needed for some other aspects of our Mission. Given the present needs on the ground (e.g. formation houses or leadership roles), some confreres who are qualified and who were called or could have been called to do a Ph.D may be asked to remain on the job while continuing their research in view of a doctorate one day. After all, the aim of the studies is in view of the mission. Statistically speaking, there are 35 confreres who are officially doing supplementary studies in different places, at various levels and in different disciplines; 7 in Philosophy, 6 in Theology, 6 in Finances, 2 in Islamic studies, 2 in JPIC, 2 in Sociology, 1in Psychology. Over the next 5 years an average of 6 confreres per year could be called for supplementary studies if we are to recover from the present lack of people needed for such services in different fields of the Mission. As the saying goes, he who fails to plan, plans to fail.